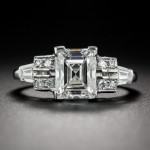 Selling jewelry from your personal collection can be an emotional and intimidating undertaking, and choosing a reputable estate jewelry buyer to navigate you through the course of action is the most important aspect of the jewelry selling process. 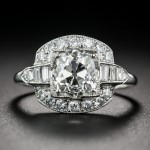 Very few jewelers can offer the expertise and the financial resources to pay a fair market price for fine antique, vintage and estate jewelry, diamonds and vintage engagement rings. We can pay the highest prices because we market the jewelry directly to the end user, in our San Francisco jewelry store and on our website, both of which attract serious buyers and collectors from all over the world. 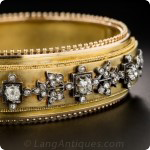 At Lang Antique & Estate Jewelry, we offer the highest credentials, knowledge and length and depth of experience in our profession, as well as the most attentive personal service anywhere. Our dedication to professional service is reflected by our many satisfied clients. We guarantee a pleasant and successful jewelry selling experience. And while we provide sales documentation for insurance purposes on every piece purchased from our collection, we do not offer independent appraisal services. 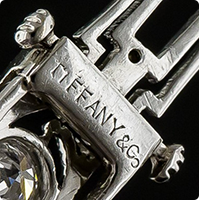 However, we are always happy to recommend trustworthy local sources for jewelry appraisal in San Francisco. 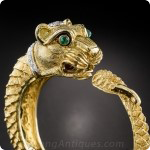 Please email jewelrybuyer@langantiques.com and we will contact you shortly. 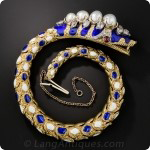 Email photos and info to jewelrybuyer@langantiques.com. 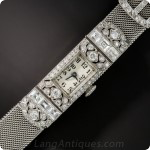 We are always buying beautiful antique and estate jewelry and timepieces. We buy individual pieces or entire estates and collections. Our website gives you an idea of the variety and breadth of jewelry we buy. The variety of colored gemstones is as wide as a rainbow. 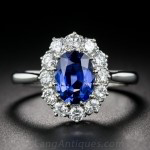 We buy Sapphires, Rubies, Emeralds, Fine Jade and Pearls as well as virtually every other colored gemstone, providing they are of fine quality or an element of a fine piece of jewelry. 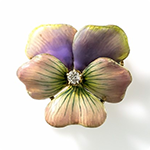 We also seek out special vintage and estate signed pieces by Tiffany, Cartier, Van Cleef & Arpels, Boucheron, Bulgari, Buccellati, David Webb, Seaman Schepps, Marsh, Georg Jensen, Marcus & Co, Gumps, Oscar Heyman, Mikimoto, J.E.Caldwell, etc. 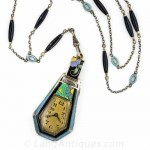 We do not buy costume jewelry, small bracelet and cord watches from the 1950’s or plain pocket watches. 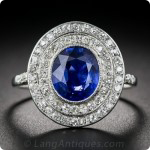 At Lang Antique & Estate Jewelry you can always expect to be treated honestly, discretely and with kindness. After dealing with many thousands of sellers of all kinds - children, grandchildren and great grandchildren; widows and widowers; divorcees, unattached inheritors, banks, trusts, etc. - we are fully considerate of the charged emotions that are often involved in parting with family treasures. 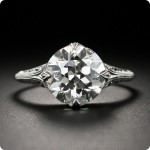 Our goal is to build a relationship of mutual trust with our clients whether we are buying or selling fine jewelry. Please tell us about your jewelry in your email. We would like to know the metal and the quality of diamonds and gems where applicable, as well as seeing any appraisals and lab reports you may have. However, as the saying goes, “a picture’s worth a thousand words”. Clear front and back close-up photos taken with a camera or phone will tell us a lot. If you can provide clear photos and enough information we can usually give you an offer estimate in advance of you sending the jewelry. If you do not have any information please provide a brief description including measurements. Please address the box to LANG (no Antiques). 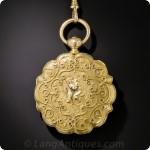 Please drop an email to jewelrybuyer@langantiques.com to let us know it is on the way. While your jewelry is at Lang it is fully insured by Lloyds of London. Feel free to call if you have any questions or concerns. 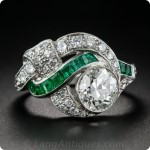 * If we have determined your jewelry to have a value of greater than $25,000 we will get you a certificate of insurance (Lloyds of London) and give you instructions for shipping. We carefully examine your jewelry including diamond and colored stone grading in our laboratory. It usually takes 24 – 48 hours for us to give you an offer. 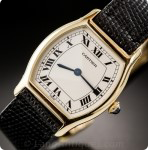 It can also take longer if your collection is large, complicated or we need to get restoration estimates and watchmaker consultations. Simple. Once you accept our offer we will email you a document to sign and have notarized (as required by law). As soon as you email or mail it back we will pay you as per your payment preference either a check or bank ACH transfer, whichever you prefer. 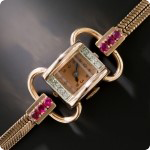 We consider jewelry for consignment as well as outright purchase. If your jewelry is a candidate for consignment you will get a higher offer than for an outright purchase. 5. HOW DOES CONSIGNMENT WORK? We take pieces on consignment that we believe are a match for our store and have a good chance of selling. Our consignment agreements are for a minimum of 120 days. We agree to a consignment price as part of the agreement prior to our selling it. This price is your net. On most consignment pieces we also make a buy anytime offer in case you should decide to sell your piece instead of keeping it on consignment. If the 120 days passes and the piece has not sold you are welcome to keep it on consignment until it sells, sell it for the buy anytime price or have it returned to you. 6. WHY DO YOU KEEP IT FOR 120 DAYS? In order to do our best job and have a possibility to sell your pieces we require 120 days for our consignment agreements. 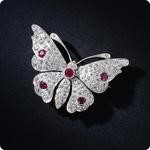 We catalog and appraise the jewelry in our state of the art gem lab, professional photographs are taken and the jewelry placed in our store and on our website. This is a time consuming process and it is done at a high professional level. We also need to give the piece(s) time to have exposure to the maximum amount of potential buyers. 7. WHO PAYS FOR THE COST OF APPRAISALS REPAIRS & LAB REPORTS? Part of the process of evaluating a piece of jewelry for purchase or consignment is the identification of costs to prepare a piece for sale. We do our best to be as transparent as possible and keep you informed before and during the preparation process. Lang pays for all the costs to prepare a piece for sale, including but not limited to: tightening loose stones, refinishing, repairs and restoration, re-polishing stones, laboratory reports, appraisal and professional photography. If for any reason there are costs associated to repair and restoration of the piece(s) left on consignment and you take your piece(s) back you are responsible for those costs. Your signature on the consignment agreement approves the first $150 worth of repairs and we will get your approval for any additional costs. If you terminate the consignment agreement before the 120 days have passed we will charge you an appraisal and photography fee for the work we have done to prepare your piece for sale. The 120 days start when the repair work is completed. We invite you to compare our credentials and experience against any other jewelry buying concern in the world today. 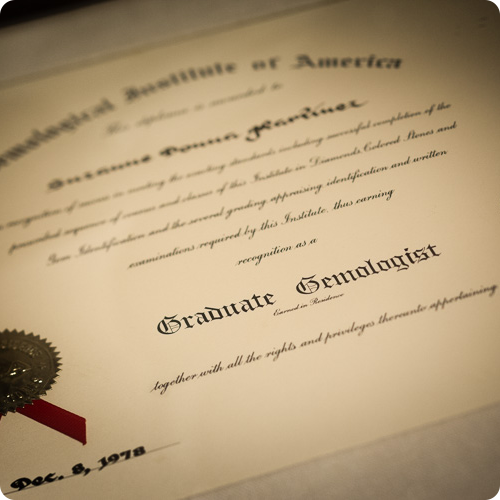 We have ten full-time Graduate Gemologists on staff with literally hundreds of years combined experience representing every facet of the jewelry industry. 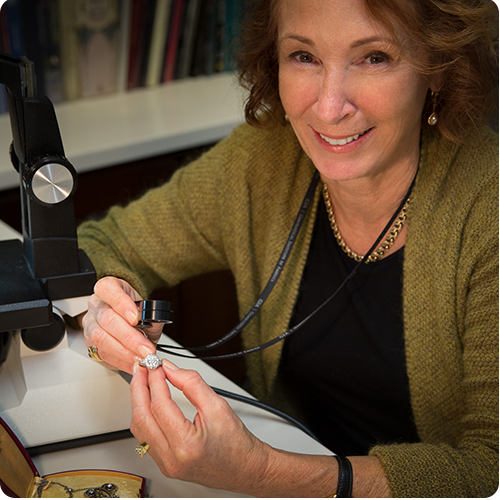 We are equipped with a state-of-the-art Certified Gemological Laboratory (certified by The Accredited Gemologists of America), as well as an extensive gemological and jewelry research library. 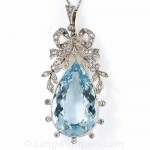 Lang is also the main sponsor and content provider of AntiqueJewelryUniversity.org (A.J.U), the internet's foremost repository of jewelry knowledge and information. 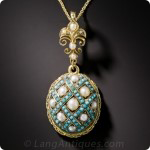 Lang Antique and Estate Jewelry is an historic jewelry institution, continuously in operation for over 45 years. is an association of United States and Canadian trade professionals dedicated to promoting the long term stability and integrity of the natural colored gemstone and Cultured Pearl industries. The Association pursues its goals through the combined use of educational programs, publicity, industry events, government and industry relations, and printed materials for both the trade and consumer. 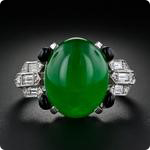 The AGTA is well-known in the gemstone and jewelry industries for maintaining the highest ethical standards. 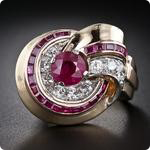 The Association’s primary purpose is to recognize, and make available, the services of highly qualified, informed, experienced, independent, and professional appraisers of gems and jewelry to those members of the public requiring such expertise. In addition, NAJA seeks to promote the trademark and professional designations earned by our members and to make available continuing educational materials in order to ensure that they are among the best informed appraisers in our industry. Finally, it is our goal to promote professionalism among our members as well as the industry as a whole. All of the above should provide reasonable assurance to the public of the professional skill, integrity, and responsibility of our members. a non-profit organization, is the only worldwide body specifically created to benefit the global colored gemstone industry. ICA’s global network works to develop a common language for promotion and consistent business standards necessary to improve international communication and trade of colored gemstones. mission is to reach, serve, and engage GIA alumni; to encourage lifelong relationships, provide opportunities for continuing education and foster networking throughout the gem and jewelry industry. DO I NEED AN APPRAISAL BEFORE I SEND MY JEWELRY? No, it is not absolutely necessary, however if you know the identity, weight and quality of stones and the metal of the jewelry you are interested in selling we can usually give you a ballpark offer before you send the jewelry. This information is found in a good appraisal. When we receive the jewelry we perform a gemological evaluation and either establish this information from scratch or confirm documentation in an existing appraisal. We do not charge to do this so it is not necessary for you to have an appraisal before you send your jewelry. However, many customers feel comfortable having this information done before they send jewelry as it establishes a value for insurance (for shipping) as well as identifying quality. We get asked this a lot. If you are considering selling an item, then we are not appraising your piece, we are making an offer to purchase or consign. This is not considered an appraisal. An appraisal is a written document for insurance purposes or fair market value and we do not perform this service. Diamonds, colored gemstones and precious metals have value based on the size, quality and rarity of the gems and the weight and purity of the gold or platinum. Intrinsic value generally represents the minimum a piece is worth and we generally pay much, much more. Jewelry from the past is executed with many techniques, usually hand fabricated, with great attention to detail. The more unique and intricate the design the higher the value. 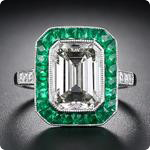 Signed jewelry, fine colored stone rings, exquisite examples of period jewelry and larger antique and estate diamond engagement rings are highly prized today. As always, ever changing fashion trends influence the demand for certain periods, materials and gemstones.. 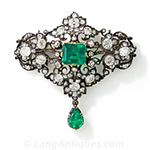 Most high-quality antique, vintage and estate jewels are one-of-a-kind. 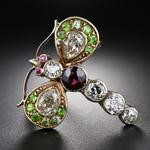 In addition to being individually hand crafted, some antique and estate jewels are made by famous jewelers such as Cartier, Tiffany, Van Cleef & Arpels and many others. We happily pay a large premium for fine signed pieces.Often rarity and collectability is predicated solely on the unique character of the piece. If large diamonds and gemstones are highlighted in a fine piece of jewelry they make it even more rare and valuable. 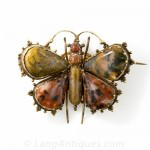 We expect to see some signs of wear on antique and estate jewelry. 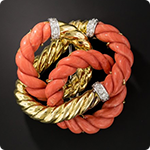 Jewelry in pristine original condition is rare and commands a premium. Jewelry with apparent alterations, repairs and restoration can be devalued. HOW DO I TAKE CLEAR PHOTOS TO EMAIL TO YOU? Most smart phones can get fairly clear photos, but if you want to get the best photos here are some helpful tips if using a camera. Use the macro feature of your camera; do not use the zoom. Use a light background, natural light is best, try photographing near a window. The camera will need to be brought close to the jewelry to fill the screen as much as possible. Depress the shutter release half way for auto focus and then fully to take the picture. Use high resolution and send as jpg attachments. HOW DO I SHIP MY JEWELRY TO YOU? HOW LONG DOES IT TAKE TO GET AN OFFER ONCE YOU HAVE MY JEWELRY? Usually it takes 24 – 48 hours for us to give you an offer. 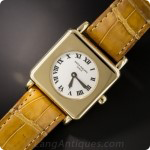 It can also take longer if your collection is large and complicated or we need to get restoration estimates and watchmaker consultations. WHAT ARE YOUR QUALIFICATIONS TO EVALUATE MY JEWELRY? Our in house laboratory is certified with the AGA. 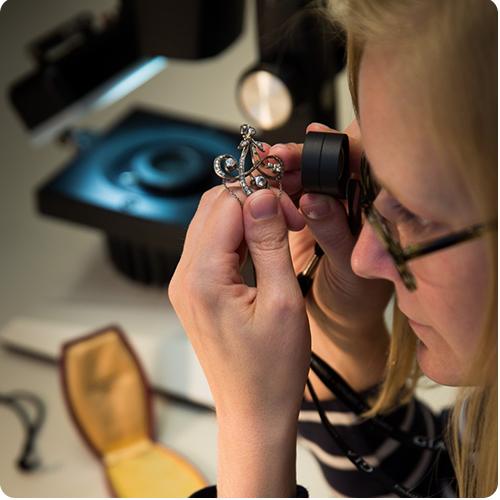 We have 10 gemologists on staff including three with combined experience of over 100 years. Please see our buying credentials page. Once you accept our offer we will email you a document to sign and have notarized (as required by law). As soon as you email or mail it back we will pay you as per your payment preference. CAN YOU SEND PAYMENT TO MY BANK DIRECTLY? Yes, we can pay directly to your bank account. I AM NOT SELLING MY JEWELRY. CAN YOU GIVE ME A VALUE FOR IT? Sorry, we can only value items we have seen in person. 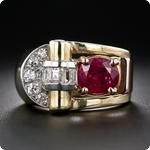 We recommend that you take your jewelry to a professional appraiser to have your jewelry evaluated. If you do not get your appraisal in writing it is only an opinion. We do not offer appraisal services at this time. IF MY JEWELRY IS NOT A MATCH FOR LANG WHERE SHOULD I SELL IT? There are many venues to sell your jewelry through. If we can recommend one we will. DO YOU BUY JEWELRY THAT NEEDS REPAIR? We will always consider jewelry that needs repairs. If we consider a piece too worn to have another life with a new owner we will consider it for it’s intrinsic value or pass on the opportunity to buy it. We do not buy scrap gold. We take pieces on consignment that we believe are a match for our store and have the possibility of selling. Our consignment agreements are for a minimum of 120 days. We agree to a consignment price as part of the agreement prior to our selling it. This price is your net. On most consignment pieces we also make a buy anytime offer should you decide to sell your piece instead of keeping it on consignment. If the 120 days passes and the piece has not sold you are welcome to keep it on consignment until it sells or you can sell it for the buy anytime price. WHY DO YOU KEEP IT FOR 120 DAYS? WHO PAYS FOR THE COST OF APPRAISALS REPAIRS & LAB REPORTS? 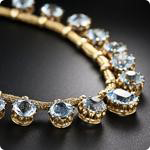 Part of the “Process” of evaluating a piece of jewelry for purchase or consignment is the identification of costs to prepare a piece for sale. We do our best to be as transparent as possible and keep you informed before and during the preparation process. If for any reason there are costs associated repair and restoration the piece(s) left on consignment and you take your piece(s) back you are responsible for those costs. If you terminate the consignment agreement before the 120 days has passed we will charge you for an appraisal and photography fee for the work we have done to prepare your piece for sale. If we need to do any repairs or restoration we start the 120 days when the work is completed. I SEE MY PIECE HAS SOLD ONLINE. WHEN DO I GET PAID? There are many reasons why your piece says sold online. It is sold. You will be paid 30 days after it has been sold (we have a 30 day exchange policy). We normally send a check unless you have made other arrangements for payment. A deposit has been taken and a sale is pending. It is on courtesy hold.